Saturday Portland: Boycott KATU News, Channel 2, Trump Sincliar station. Read article. BREAKING NEWS about Trump and Putin comes from France. Read article. No doubt this will be a major story today. Jesus Christ, Superstar to be aired live from Broadway on NBC at 8PM tonight. What Really Went on at Russia’s Seattle Consulate? Trump’s incoming adviser has said the U.S. should launch a ‘retaliatory cyber campaign against Russia’ and ‘use WikiLeaks for target practice.’ is the crucial subtitle of this Politico Magazine article. Trump probably was attracted to the machismo bluster of this Fox News personality. Bolton knows that we have been losing the modern equivalent of bullets and bombs warfare. He cannot abide America losing in a war, let alone being on the defensive. He knows we have been cyber bombed by Russia. He has called their meddling in the election an act of war. Now he wants to cyber bomb them in retaliation. 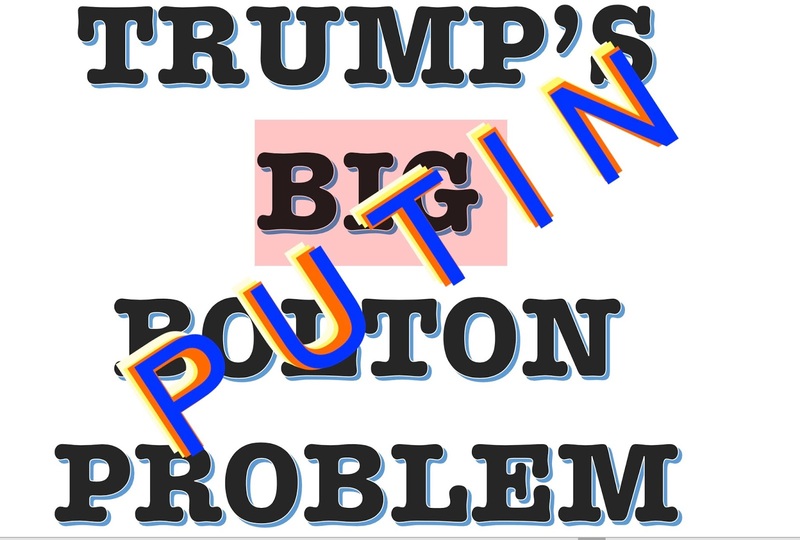 I can’t wait to see how Trump get’s himself out of this one when he tries to convince Bolton that we must not upset Putin and Bolton, who is no shrinking violet, stands up to him by pushing hard for a much more aggressive retaliation than merely expelling spies and amping up his rhetoric. Donald Trump has defiantly refused to criticize Vladimir Putin in public, even as he’s authorized increasingly hawkish policies to counter Russian bellicosity. Administration officials are signaling this may soon change, and the president’s alpha male inclinations are a big reason. Washington Post. He is in too deep with this selection to change his mind. 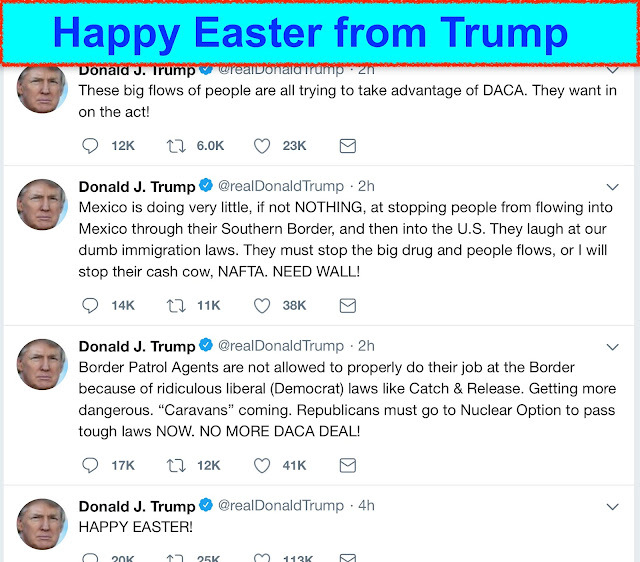 He can’t risk the big-time egg on his face by firing him. Bolton is a darling of Fox News and the far right. Congress can’t do it for him since Bolton doesn't need to be confirmed. Can and will Trump risk doing something that will really piss Putin off? It appears that Bolton will have a powerful ally in his attempt to deal aggressively with Russian cyber attacks. The new head of the primary agency which would be involved in cyber warfare against Russia is a hardliner general, Washington Post. The next head of the National Security Agency and U.S. Cyber Command will be taking charge in the face of what intelligence officials call the greatest strategic threat to the United States: Russia’s efforts to disrupt U.S. elections. Lt. Gen. Paul Nakasone, who is widely expected to be confirmed this month, also will confront Russia’s aggressive targeting of the U.S. electrical grid and other critical infrastructure, and if directed would be responsible for providing the president and defense secretary options to counter such provocations. — President Trump’s new national security adviser John Bolton minces no words about whether he thinks his boss and Russian President Vladimir Putin can be friends. In speeches, interviews and op-eds, Bolton has called Putin a liar who aligns himself with America’s enemies, and whose country is a long-term strategic threat to the United States. 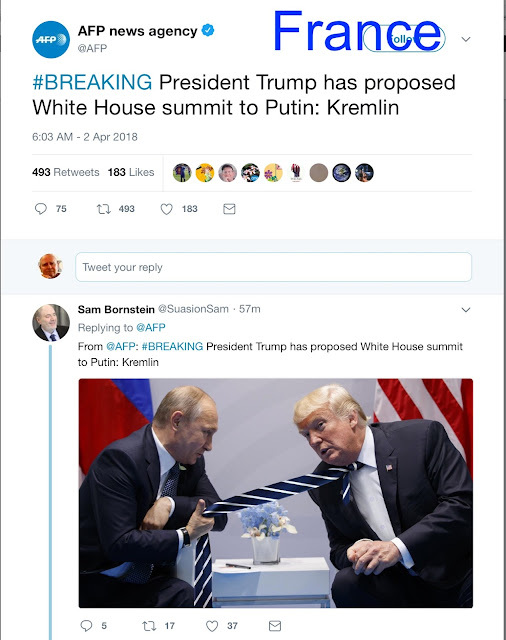 Bolton said the Russian leader lied to Trump when they met last July at the G20 summit in Hamburg, Germany, and Putin denied interfering in the U.S. elections. Trump later said he believed Putin. “Attempting to undermine America’s constitution is far more than just a quotidian covert operation. It is in fact a casus belli, a true act of war, and one Washington will never tolerate,” Bolton said. Bolton spoke about Russian meddling again after special counsel Robert Mueller indicted 13 Russian citizens for setting up servers in the U.S. and facilities in St. Petersburg, Russia, to orchestrate an influence operation in the run-up to the election. “This is a perfect time for President Trump to pivot to make it clear he’s not going to let Russia or any other country meddle in our elections,” Bolton said in a Feb. 21 speech at the Daniel Morgan Graduate School of National Security in Washington. Will Bolton live up to these anti-Putin creds (Daily Beast) in face of the Trump-Putin bromance? As undersecretary of state for arms control, Bolton was a principal advocate of tearing up the Anti-Ballistic Missile Treaty—and was the one who ripped it up in the Kremlin’s face. Bolton was the point man for ABM Treaty diplomacy with the Russians—itself a signal that there was no doubting Bush’s intention to get out. Bolton even went to Moscow the week after the 9/11 attacks to underscore the point, and felt nothing of wrapping a U.S. missile shield in the bloody shirt of a terrorist attack that the shield would never have stopped. Why is he “stuck” with Bolton. He’s just like the others if he says something the big baby doesn’t like he can be fired, same as the rest of ‘em. I just added an explanation as to why he can’t fire him, though of course technically he can. Just my opinion of course. Your assuming drumpf is constrained by anything. I don’t. I agree. I wouldn’t put it past TrUmp to fire the general in the middle of the battle. He’ll do it with a tweet. He can fire him next week. The other likely results is that Bolton, Chickenhawk that he is, absolutely shuts up on Russia so he can keep his chair to scream at Asia. Since when have we ever expected consistency from the Faux News talking heads? He will just roll over and show his belly to the bigger bully so he can keep his White House pass. Iran first, then the Palestinians, then, Belgium, followed by St. Croix. You have to warm your troops up with target practice, you see. Just as soon as he finds someone worse, Bolton will be gone. I have lost my ability to be shocked at just how much worse all of them are than their predecessor. At this point, it really wouldn’t surprise me if Trump pardoned Dylann Roof and made him security advisor. Roseann Barr will replace Nikki Haley. Thank you, Jon. Trump probably can’t differentiate between NASA and NSA, but it will be very interesting to see if he even reacts to the appointment of Lt. Gen. Paul Nakasone to head the later agency. If he succeeds, Nakasone will be to modern warfare as General Patton was to tank warfare. We are under attack, they have won decisive battles and so far, we have not even acknowledged that they are attacking. They fv(ked our last election, they have disrupted the EU, one of our most important alliances, they have stirred up White Supremacist movements all over the world and they show no signs of slowing down. It’s high time we respond to their aggression. And luckily, cyberwar doesn’t include a lot of blood, dead people and ravaged cities. And Yeah, WikiLeaks would be great for target practice. Just because the guy who only has a hammer thinks everything is a nail does not mean that, on occasion, there isn't an actual nail occasionally. Maybe he can convince Spanky to take Russia’s cyberwar seriously. He will first have to convince Trump to understand that Russia is an enemy and that cozying up to Putin is anathema to everything America stands for. If Bolton has had his head in the Fox Newsworld sand and doesn’t realize Putin has to have something on Trump, I wonder where he has been living. Even liberals admit he is smart. Could he be so out of touch that he hasn't seen ample evidence that Putin is blackmailing Trump? Maybe he has a dark hidden agenda to expose Trump for the treasonous Manchurian candidate president he very well may be. Bolton is a bully, who kisses up and kicks down. He will do whatever Trump says. He will get rid of Bolton soon after the first clash over Russia. It will be inevitable. There’s another possibility. Bolton may realize, up close and personal, that Trump is not only in Putin’s pocket, but mentally unstable and as Tillerson said, a moron. I haven’t studied Bolton and am not inclined to do so. However, what would he have to lose if he resigned besides a job at Fox News? The 69-year-old Yale undergrad and Yale Law alumni could continue with what has to be a lucrative job in the DC office of Kirkland & Ellis. He might even score a gig at MSNBC as a regular correspondent. I think he would enjoy flexing his intellectual muscles in head-to-head debates there with those who disagree with his world-view. I doubt that with him it isn’t about the money. Of course he could also write a book. I don’t believe for one second that Bolton is anti-Russia anymore. He did an NRA video for dissemination in Russia and is part of the Cambridge Analytica crapfest. Bolton is like trump, out for Bolton. Interesting thoughts. I thought Bolton was also a Russian asset, but I’ll be happy if proven wrong. Bolton flat out scares the crap out of me.